I haven’t blogged this week, so I’ll try to catch up. I did play with my new emb machine one night. Of course I didn’t have the right colors of thread, but I DID figure out a little bit of how it works. 🙂 I have a lot more to learn!!! 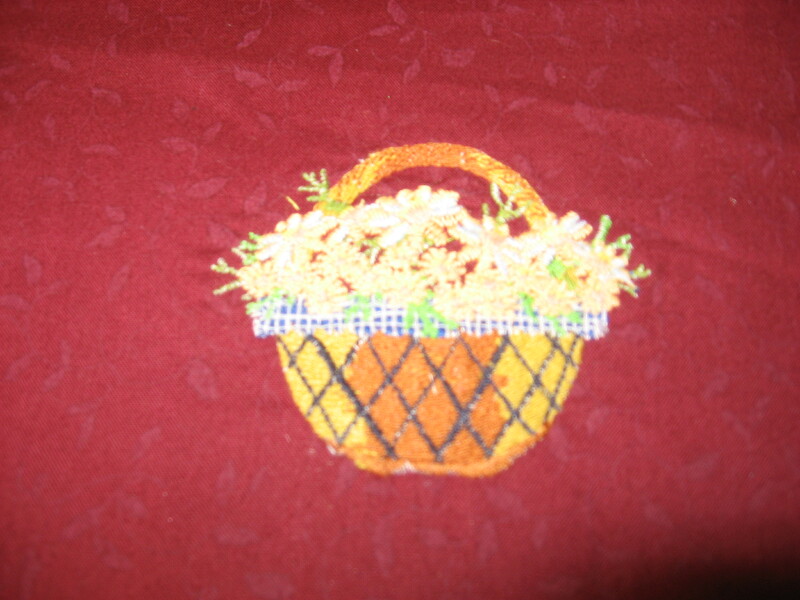 Here’s my first attempt at trying machine embroidery. 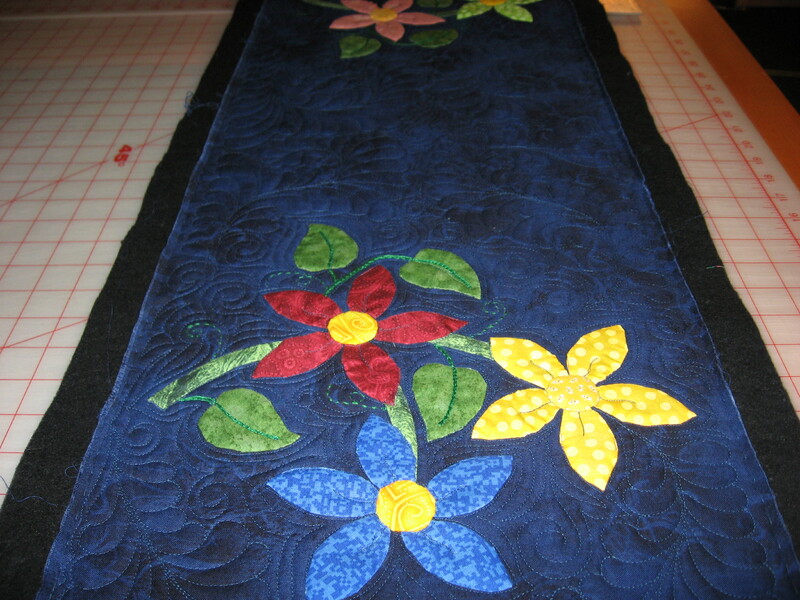 I also, finished the applique quilt that I had been working on. I also quilted a valance that she made too. 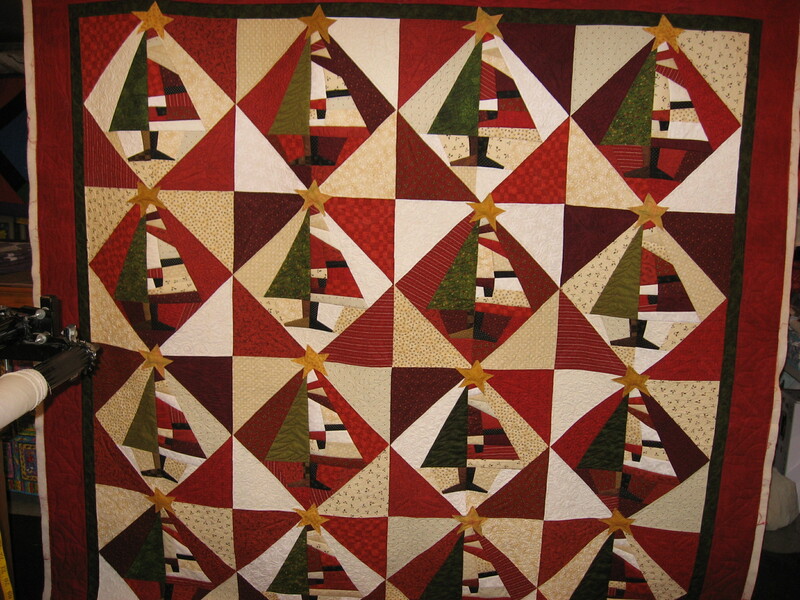 I wasn’t sure how to quilt it but since I love to do feathers, well…….that’s what it got! 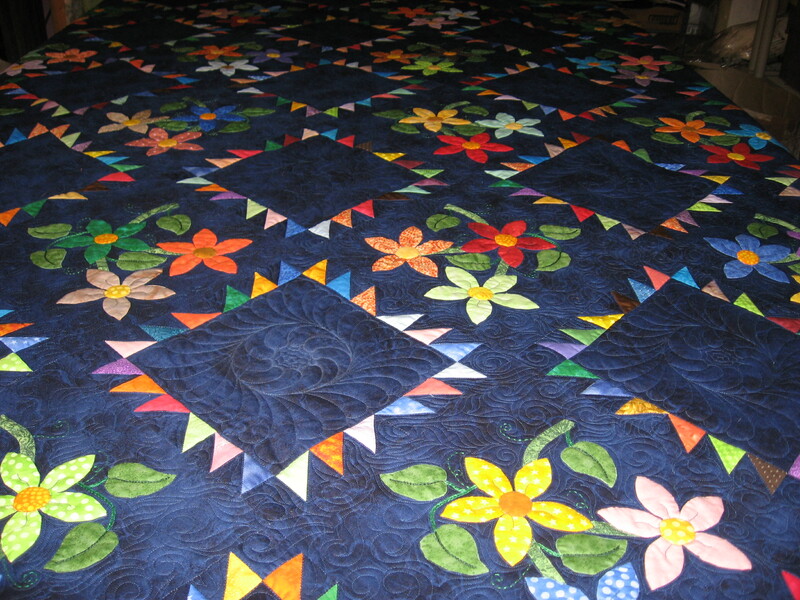 I also quilted a quilt for my LQS. That’s it. Busy week. I haven’t had time to sew anything this week. I have most of my HST’s marked for step #2. I’ll have to sew them and get them squared up before I can do this months step and I only have a little over a week left of this month. It doesn’t look as if I’m going to get caught up on that any time soon! LOL! !